As international student in the UK, my friends and I were far away from home. That is why we like to gather together so we decrease the feel of homesick. 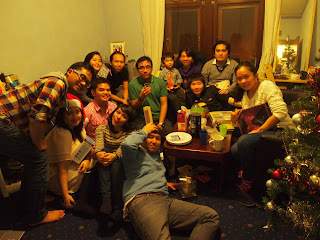 This Christmas, we held a Christmas dinner. We all bring food to share. I bring Roasted Chicken. It was a nice little merry Christmas. We can feel all the joy and all the love. It was wonderful.. In fact, we each bring a gift that is wrapped in News Paper. We put it under the Christmas tree so that no body know which one is whose. 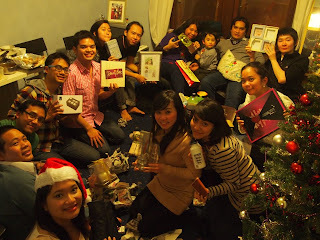 After having dinner we play a game of randomly distributing the gifts. It was so much fun. I receive a water bottle. This is perfect since I need those to bring coffee everyday for campus.